AST&Science has selected Midland, Texas, as the location for the company's new, high-volume, North American satellite manufacturing plant and corporate headquarters. The space technology company’s new 85,000 sq. 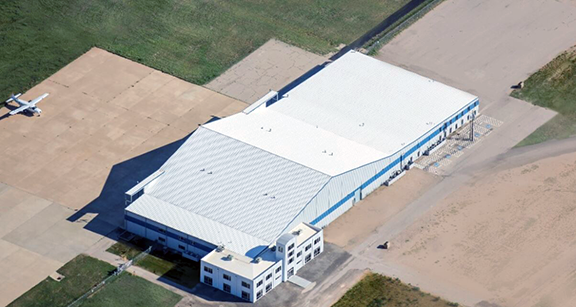 ft. facility is located within the Space Port Business Park located at the Midland International Air and Space Port, the first commercial airport to obtain a Space Port License from the Federal Aviation Administration. The company will augment at their new location their current R&D, engineering and manufacturing capabilities in Maryland and Europe operated by AST&Science and its subsidiary AST&Defense. AST&Science new facility in Midland, Texas. The new plant will be one of the largest “New Space” manufacturing facilities in the United States and will create more than 160 space manufacturing jobs in Midland, according to AST&Science chairman and CEO Abel Avellan, who said the company expects to invest more than $30 million in the facility over the next several years and to achieve annual production capacity of 100,000 space modules, which are called Microns. The new AST&Science plant will design, build, integrate, manage and launch satellite platforms into LEO in a fully integrated aeronautical and space operation. Avellan noted that the collocation of the high-volume manufacturing and direct airside access for the horizontal launch capability, using carrier aircraft at the Midland Space Port, will be an important element in the company’s planned rapid LEO satellite deployments. The company’s patented modular construction process will dramatically reduce the cost and weight of the LEO satellites, while providing unprecedented levels of power and performance. Construction of the facility is now complete, thanks to the partnership with the Midland Development Corporation (MDC), and initial production is scheduled to commence early next year. The first satellites will be launched for orbital tests in 2019. Adriana Cisneros, a board member and chief strategy officer of AST&Science, as well as CEO of Cisneros, commented that all are delighted to be welcomed by the City of Midland and the grand state of Texas, where big things happen. Brent Hilliard, chairman of MDC, noted that Midland gets 160 jobs in a diversified, high-tech industry, and can offer AST&Science a location with access to an airport and licensed space port. The MDC provided a scalable manufacturing location that was a key factor in bringing this new industry to Midland. It’s a symbiotic collaboration that makes perfect sense.